Pool owners commonly find themselves in shock after removing their pool covers following the off-season. Winter is an ideal time for algae to build up in your swimming pool. In turn, it damages pool lining, equipment and tends to make your water go green. While it may seem counterintuitive to maintain your pool during winter, it’s the perfect way to give yourself less to do over the long run. Also, by maintaining your pool during winter, you will ensure that you can jump right in as soon as summer arrives. An essential part of winter swimming pool maintenance is preparing your pool before you close it for winter. This means completely cleaning your pool before you finally put your pool cover on top. Begin by skimming your pool to remove any debris. Then, scrub all pool surfaces — both inside and out — to remove any algae that’s had the chance to build up over summer. Finally, manually vacuum your pool. By following all these steps, you will minimize the potential for algae to grow during the off-season. Swimming pools tend to turn cloudy after a good clean. By running your filters, you will clear this cloudiness up. Ensure that you always clean and backwash your filters prior to winter. This prevents fats and oils from accumulating a thickening during the colder months of the year. As you would during summer, it’s important to run and clean your filters during winter as well, just not as often. Depending on the size of your swimming pool, you should run your filters for between 3 and 4 hours each day. The most important part to keeping your pool water healthy is getting your chemical balance (pH levels) right. It’s a good idea to shock your pool prior to closing it for winter. Though, monitor your pH levels and adjust them accordingly. Your pH levels should always be between 7.2 and 7.6. It’s important to have the right pool supplies handy. Some of the most common pool chemicals you will need, include chlorine, algaecide, clarifier and stabilizer. 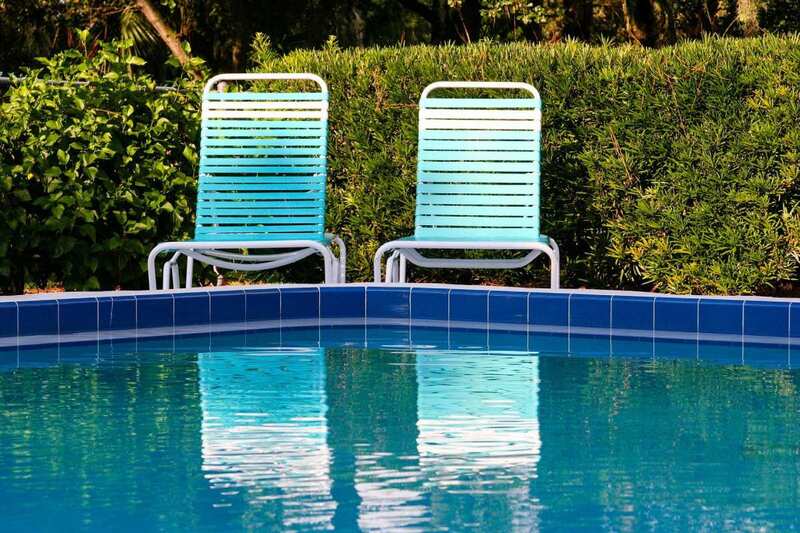 If you’re not sure of exactly what you need, talk to your local pool cleaning expert. You may think that the only function a pool blanket serves is to keep debris out of the water. Another important job your pool blanket does is trapping heat inside the water. There are a few benefits to this. Firstly and most importantly, you will stabilise your pool’s pH levels. Secondly, re-heating your pool during spring takes less time and keeps your energy bills down. Overall, pool blankets are something pool owners can’t go without. They also mean you’ll spend less time looking after your pool when you’re not using it. Here’s where most pool owners get it wrong. Don’t forget about your pool during winter. You need to periodically check to see how it’s going when you’re not using it as well. Once a week, you should check that your pool is clean and that pH levels are appropriate. Also, run your filters daily. Finally, winter is the perfect time to make sure all pavement and decking surrounding your pool is clean and intact as well. What happens if you don’t maintain your pool during winter? One of the most common problems you will face should you ignore your pool during winter is the dreaded “green pool”. If you let algae take over your pool, it will end up looking like Shrek has been residing there. If you’re lucky, you will able to bring your pool back to it’s sparkling best all by yourself. This involves a five-step process and is the case most times. Though, you don’t want to risk it. If you have neglected your pool for far too long, you may need to call in the pool cleaning experts. In a worst-case scenario, your pool would need to be drained, acid washed and then filled up again. So, to avoid a headache and some hefty bills, it’s best to just maintain your pool regularly.